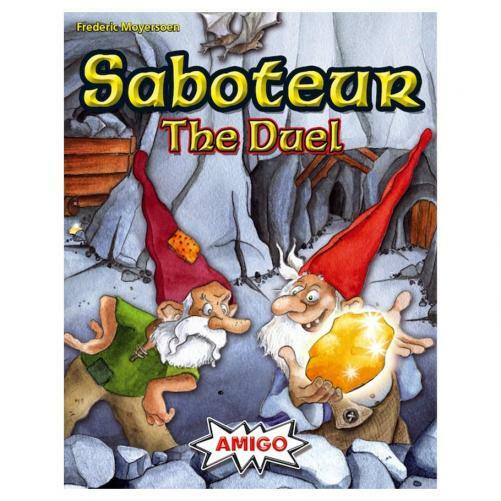 Fill in your details below and we will let you know within 24 hours if we can get Saboteur: The Duel to you with haste! This captivating version of one of the world’s top strategy games is specially designed for two players, and for one. The object is the same (to stockpile the most gold), but you may want to cooperate and build a tunnel together...until it’s time to sabotage your opponent and go it alone. Rock slides, broken pickaxes, locked doors—there are plenty of obstacles to play—but beware of the troll that lurks in the mineshaft and blocks your way.